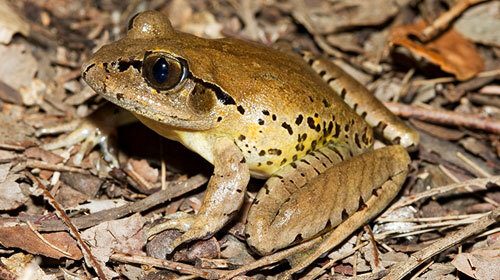 Fleay’s Barred Frog can be found in New South Wales and Southeast Queensland and is currently listed as endangered. Although Fleay’s Barred Frog are fairly common across these ranges there is a noticeable decline taking place. 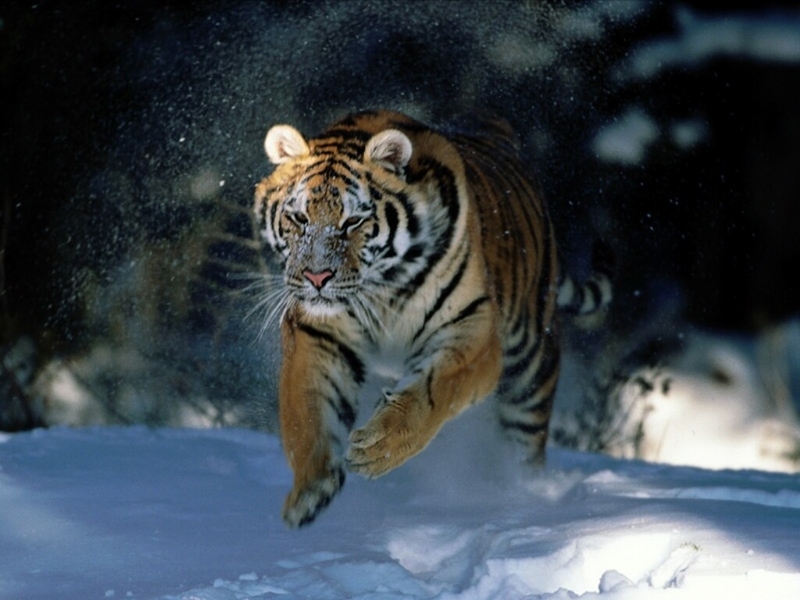 The reason for the decline in population is thought to be a combination of a handful of different factors such as pollution, disease, human expansion and non indigenous predators that have been introduced into the surrounding area. 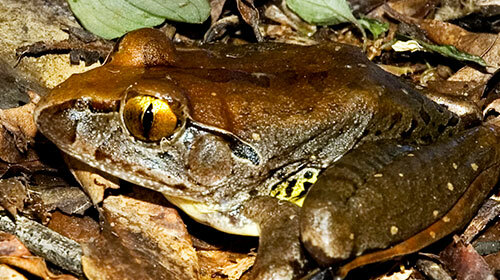 Fleay’s Barred Frog has a distinct and interesting coloration. Generally the frog is a shade of brown which can range from light to dark brown and has distinct purple markings under its large protruding eyes. Depending on the tone of the frog there is usually a darker marble pattern to the skin and a easy to spot ‘Y’ shaped marking that stretches from its eyes and down the length of its back. The hind legs of Fleay’s Barred Frog sports partially webbed toes whereas the finger on the fore legs are not webbed at all. Males of the species are instantly recognizable by their large vocal sac and both male and females have a yellow colored underside which extends to the limbs. The preferred habitat of Fleay’s Barred Frog is that of semi and full rain-forests and if you come across one of these frogs out in the wild you will most likely encounter them along the smaller streams. Generally Fleay’s Barred Frog won’t be found in isolated pools or crevices however on occasion they may be near by at these environments are perfect for their tadpoles. Fleay’s Barred Frog have been recorded to breed most of the year with recording existing currently between July and March the following year, this is usually dependent of the availability of a suitable nesting site for the tadpoles and as such if the water level is too high breeding will not occur until it has settled.